This was written in 2009 although I’ve known about this “one-boxing” solution for quite a while. Wittgenstein once said that you can tell that an itch is gone if you no longer find yourself returning to scratch it. This solution did it for me. My target is essentially the epigraph by David Lewis at the start of the essay. Lewis was a famous “two-boxer” and these words of his encapsulate everything that is wrong with two-box reasoning, in my opinion. Thinking inside the boxes: Newcomb’s problem still flummoxes the great philosophers (2002), by Jim Holt. Newcomb’s paradox: an argument for irrationality (2010), by Julia Galef. Theology throwdown: Newcomb’s paradox (2010), by Jethro Flench. In philosophy, there is a famous issue of whether foreknowledge of choice is compatible with freedom of choice. Thus, if someone already knows what you will choose, does this mean that the “choice” is not really open to you? – that you have no choice (as it were) but to go with what this person already knows you will “choose”? Like many others, I see no incompatibility here: a certain choice can remain yours even though someone already knows what you will choose. But this is an old issue and we can’t really examine it here. Lots of people are compatibilists, however, including many two-boxers in Newcomb’s problem, so I will simply take the doctrine for granted in what follows. Notice that the position of the previous section is just a natural extension of such a compatibilism. Compatibilism says that if I offer you a choice between A and B, you are not deprived of that choice just because I know you will choose A. I’m simply pushing the idea one step further. You are also not deprived of that choice if I fail to make B available for your taking if the reason for this is that I know you will choose A. This extension is not obviously correct but then neither is compatibilism to begin with. These things must be left to sink in. There are some who reject even the basic compatibilist position; what can one do? But if you are comfortable with the basic position, you should be comfortable with the extension since it really is quite natural. In any case, I contend that both compatibilism and the proposed extension are sound. Thus, in the birthday case, you were not deprived of the choice between A and B even though B was not there for your taking because there’s a perfectly good reason why it was not there: it was foreknown that you would choose A. In our simplified version of Newcomb’s problem, exactly the same issue is at stake. 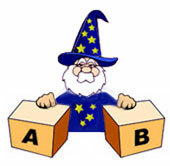 You believe that the predictor has made a correct prediction, i.e., you believe (essentially) that he knows whether you will take box A or box B. The contents of the boxes are also up to him. So the predictor is like the secretary above and you must be careful in thinking that, in choosing between taking box A and taking box B, you are choosing between the actual contents of those boxes! In my opinion, this is the precise mistake that underlies the false case for taking box A. So the case for taking box A is not as watertight as it first seemed. It rests upon an assumption that may be challenged and I would like to end by presenting Newcomb’s problem in a certain unusual way that draws special attention to this assumption.